This is the warning that Principal Sherman (Mica Paris) gives the audience, and the future class of ’84, as the curtain opens on NYC’s School of Performing Arts. Students flock here, hoping it holds the key to one day seeing their name in lights. But these hopefuls, like the musical they inhabit, have a lot to live up to, and not all of them make it to the top. I somehow missed the boat on the entirety of the Fame franchise, knowing only the excellent title song, the iconic street dance scene, and a vaguely sketched synopsis. 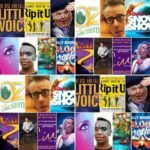 This UK tour is a restaging of the 1988 musical, developed by David De Silva, story by Jose Fernandez and original music/ lyrics by Steve Margoshes and Jacques Levy, which incorporates elements of both the movie and the series that came before it. We’re first greeted with a wonderfully evocative image: a bird’s-eye view of a taxi driving down a skyscraper-lined street, the sounds of traffic transporting us to a balmy summer in 80s NYC. 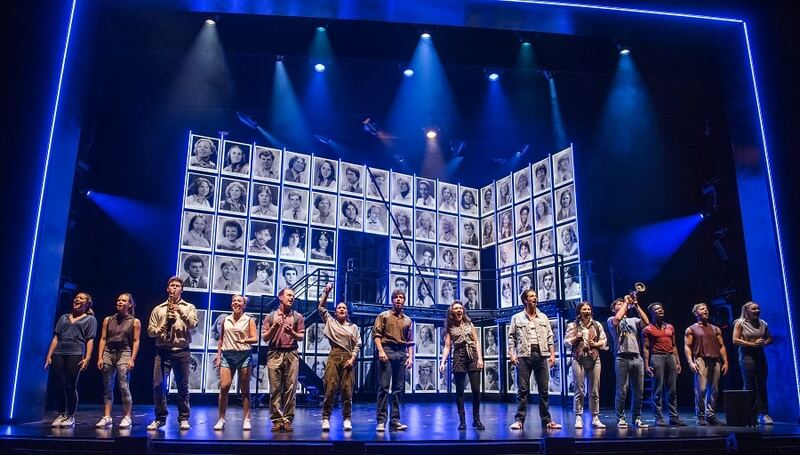 The production design is never quite as effective after that; for most of the action, the stage is illuminated by yearbook photos of the cast, perhaps implying that this is the closest some of the characters will get to seeing their names in lights. Although the actors work incredibly hard throughout, the characters sadly aren’t much to hold up the two and a half hour runtime, neatly slotting into the archetypes we’ve seen time and again. We have the talented but overconfident hopeful (Stephanie Rojas’ Carmen), the insecure progeny of a prodigy (Simon Anthony’s Schlomo), the hipsterish wannabe playwright (Keith Jack’s Nick) and the shy girl with an unrequited crush (Molly McGuire’s Serena). And despite the talent on display, some of the cast members are about as convincing as high schoolers as Steve ‘how do you do, fellow kids?’ Buscemi was in 30 Rock. Jamal Kane Crawford’s Tyrone has the most compelling story by far, as a young African-American man trying to make it in the white-dominated world of professional dancing. Getting by on his natural talent and charm, Tyrone focuses on the performance side of PA over the academic in an attempt to avoid anyone finding out about his dyslexia. 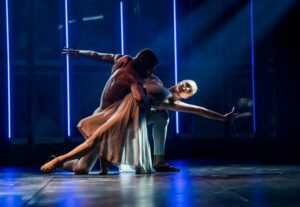 One of the few powerful scenes in the production involves Tyrone opening up about this to Principal Sherman, and Crawford shines in the role, especially with his fellow dancer and love interest Iris (a lovely turn by Jorgie Porter). However, the most egregious mistake this production makes is the music. Despite an excellent finale featuring the titular iconic tune, the rest of the setlist is an exercise in mediocrity. At one point, Schlomo criticises Carmen for lyrical blandness, which, frankly, was a bit rich coming from a show featuring possibly the most clichéd songs I’ve ever heard. And the ballad they write together, ‘Bring on Tomorrow’, heralded in-show as a future hit, has the emotional richness of a ringtone. The songs here are as generic as the American (Generican?) accents on display. The ballads in particular are pretty dire (and I really didn’t need multiple reprises of ‘Let’s Play a Love Scene’, ‘I Want to Make Magic’ or ‘In L.A.’), but not quite as bad as the nightmarishly on-the-nose ode to Meryl Streep, creatively titled ‘Think of Meryl Streep’. There’s nothing that reaches the tuneful heights of ‘Hi-Fidelity’, the melancholy magnificence of ‘Beautiful Dreamer’, or the delightfully disco-ish ‘I Can Do Anything Better Than You Can’ from the beloved series. 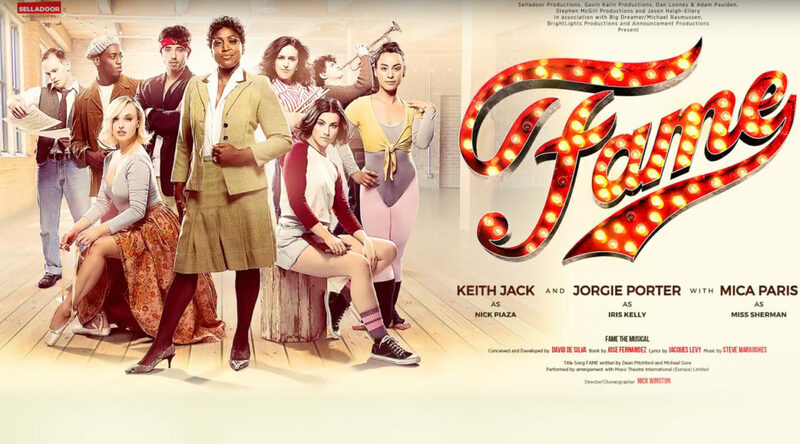 It’s a shame to squander such uninspiring songs on a clearly talented cast who deserve better, especially Mica Paris, who is burdened with a thankless role and the most clumsily literal number of the show in ‘These Are My Children’. For a show which proclaims the value of innovation over duplication, it sure does bask in banality. And yet it kinda messes up the bit we were all waiting for. ‘There’ll be no dancing on cars here’, Miss Sherman states, as if leaving out the most iconic scene from the film was some kind of subversive, revolutionary act. Not having the cast dance on cars at the end was a sin of the same magnitude as The Importance of Being Earnest daring to omit ‘a handbaaag? 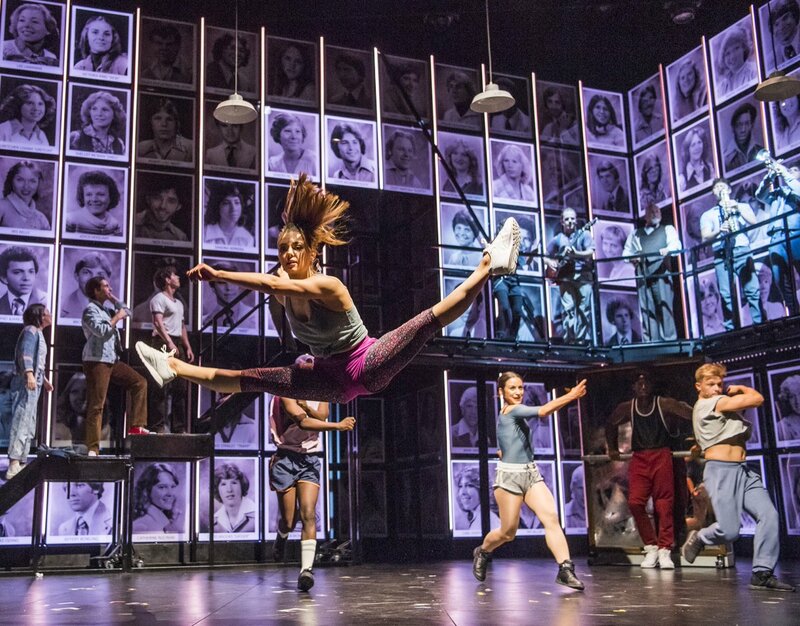 !’ We came here to see the street dance scene, Fame – and, car-less through it was, it still eclipsed every other number with its timeless intensity. 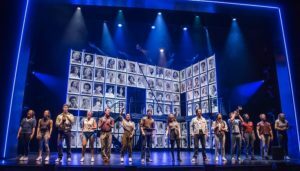 In the end, the musical suffers greatly in comparison to its predecessors, possessing none of their charm or quality despite the best efforts of a great ensemble cast. It has neither the gritty realism of the original movie, or the frenetic joy of the tv series, and sits somewhere between the two as the awkward, sleazily comedic middle child of the Fame family. Plus, it manages to be even less progressive than its forbears, particularly in its treatment (or is that wilful omission?) of LGBT characters. 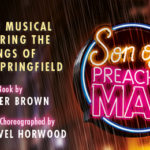 If you are a die-hard Fame fan, particularly of the musical itself, I’m sure you’ll enjoy this latest production. But, for me, it hasn’t got what it takes. Shows to see this autumn.